Accidents can happen, and when they do, the law office of Joseph C. Crudo, PLC in San Diego is here to help. Premises liability claims are common when property owners do not maintain the safety of their premises. These can include slip and fall accidents, or other types of accidents. We will evaluate your case and determine if you have a liability worth pursuing. Property owners owe their guests a safe visit, which is why all preventable incidents should be maintained. Slip and fall accidents and injuries are the most common type of premises liability. 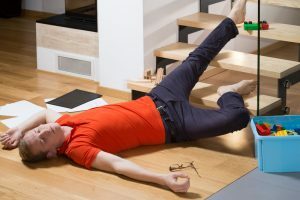 This occurs when a person slips or trips while on the property of someone else. This can occur in any business or even a friend’s house. Swimming pools can be dangerous both to strong swimmers and non-swimmers. Drowning incidents and head injuries can be fatal in the pool or cause other problems. The pool owner becomes the person in charge of safety in regards to the pool. This includes putting up a security fence to keep young children from wandering in as well as knowing CPR in case an accident does happen. In San Diego, we are home to an endless amount of tourist attractions and fun amusement parks with rides, animals, water parks, and more. Accidents are prone to happen at some point, either from a roller coaster, falling at the zoo, or getting hurt on a water slide. When inspections or maintenance is neglected on escalators or elevators, accidents are prone to happen. Any injury or suffering that may have happened to you while using one of these, can qualify you to file a claim. Property owners are responsible for providing some sort of security to their premises to protect themselves and guests. This can include locks, security cameras, and in some cases, guards. If you are injured in the event that security measures could have protected you, you are qualified to have a claim. It is inevitable that playgrounds are not the safest place for children, but they have fun. Unfortunately, kids do often hurt themselves playing. This is not always the child’s fault, but a lack of maintenance or faulty playground equipment. If you win your case, you can be compensated for any suffering, pain, medical bills, future medical care, or wage losses you experienced in result of the accident. What Makes Me a Candidate for Premises Liability? The property was not properly maintained. The injuries were caused by the lack of maintenance of the property. If you answered yes to all of the above questions, please give our lawyers in San Diego a call at Joseph C. Crudo, PLC for a free consultation at 858-622-7280. You can also fill out our online contact form on our contact us page to ask us any questions you might have.